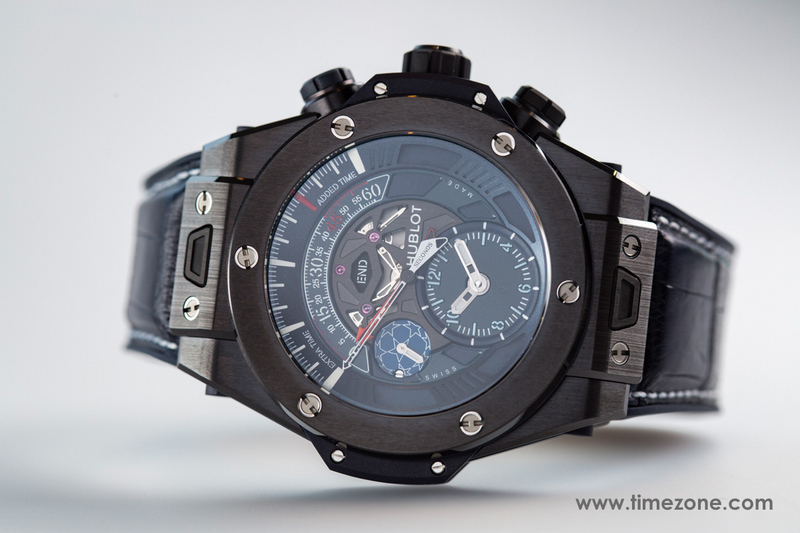 The Big Bang Unico Retrograde Chronograph is the result of the footballing world marching to the beat of Hublot. 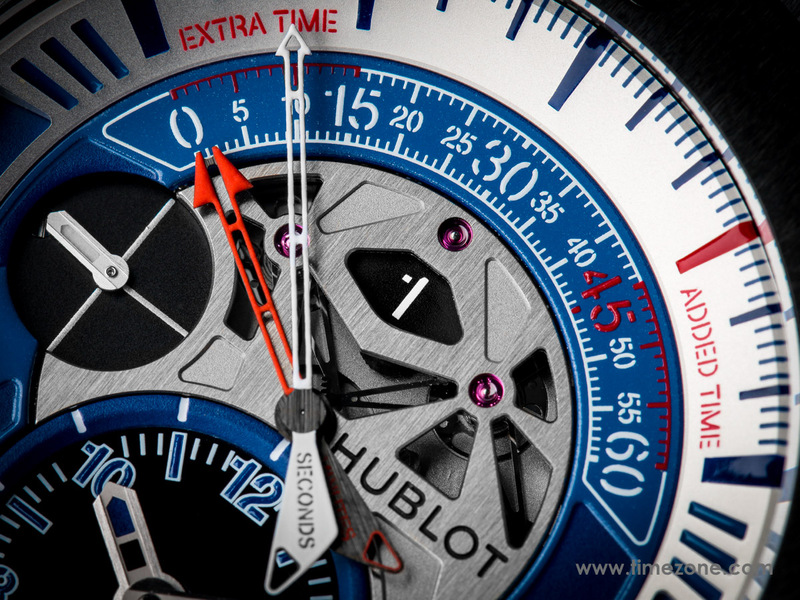 Ten years ago, Hublot pioneered and continues to confirm its commitment to football year after year. Whether they're official ambassadors or friends of the brand, from Pelé to Mourinho, from Shaqiri to Scolari, from Roy Hodgson to Alex Ferguson and David Trézéguet, they, like so many others, are part of the "Hublot loves football" world. Just like the clubs, Ajax, Bayern Munich, Chelsea, Juventus and Paris Saint-Germain, which by themselves account for a record number of titles and distinctions. 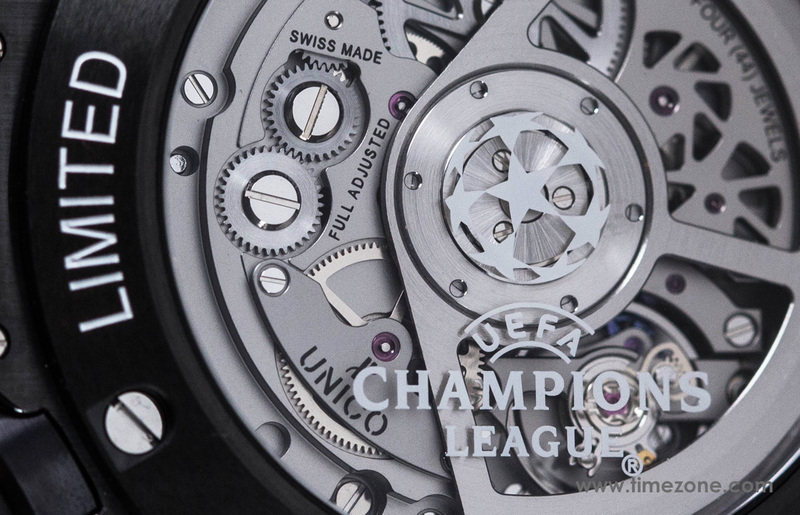 As Official Timekeeper for the EURO, the World Cup, the Champions League and the Europa League, Hublot stands on the touchline of the most prestigious competitions and championships. 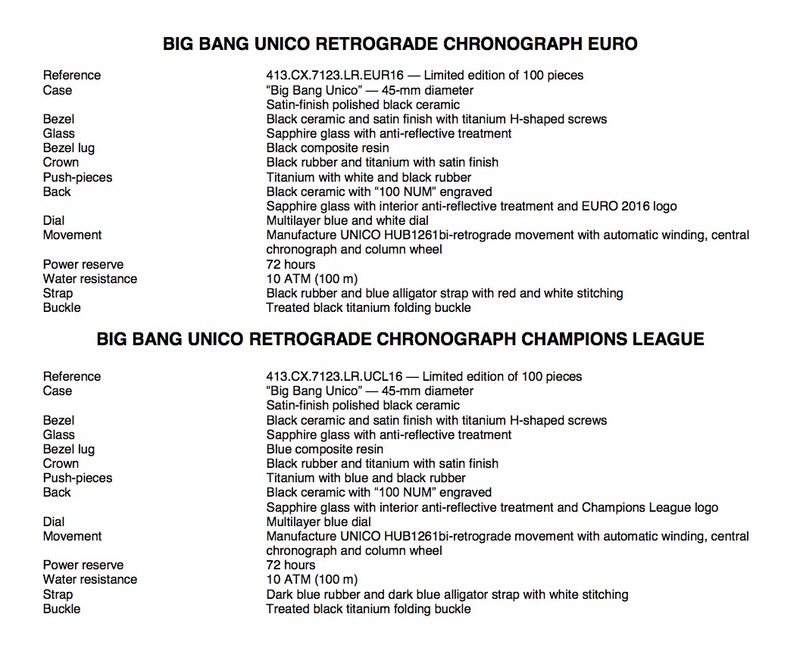 This was all the Swiss watchmaker needed to design a watch dedicated to the most popular sport in the world: the Big Bang Unico Retrograde Chronograph. 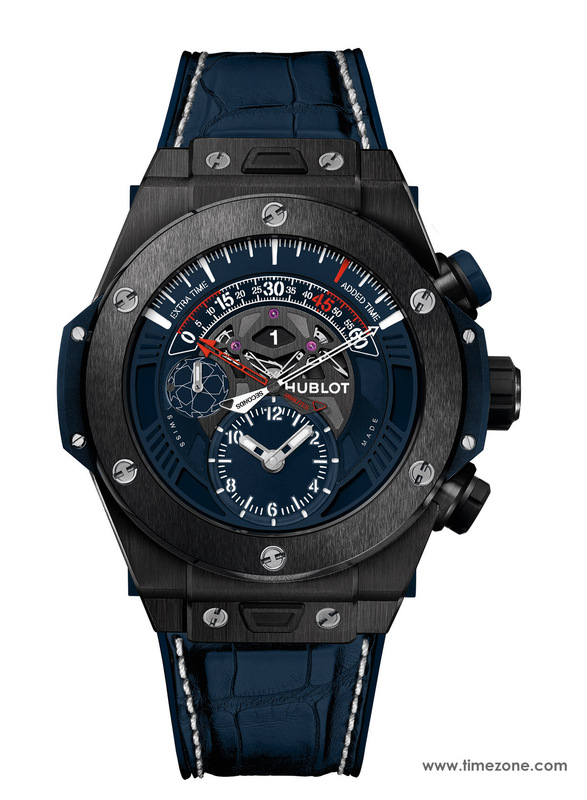 Celebrating its recent partnership and its status as "Official Accredited Watch" for the Champions League, Hublot unveils a second limited edition of 100 pieces featuring its mythic Unico retrograde chronograph movement. 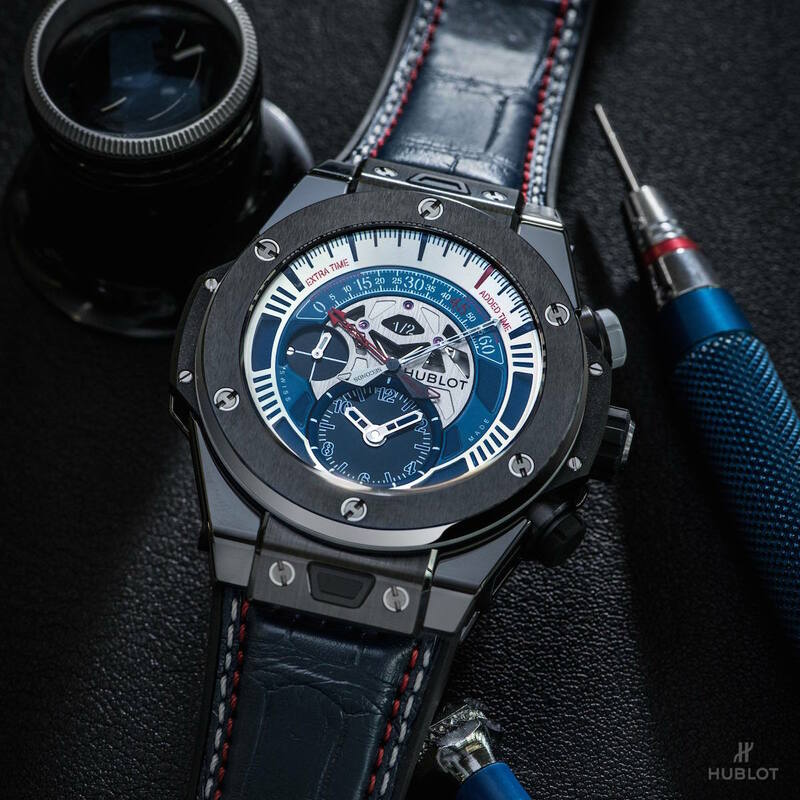 Dressed in the Champions League's midnight blue, its 45mm case in black ceramic sports a strap in blue alligator sewn onto rubber and overstitched with a white seam. 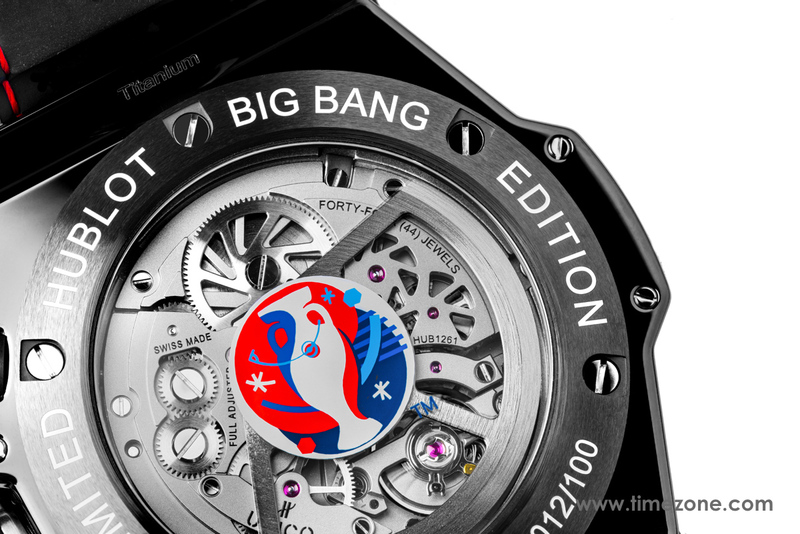 On the occasion of its 3rd EURO participation, Hublot introduces the Official Watch of UEFA EURO 2016 which will take place in France from 10 June to 10 July 2016. Designed with the football world in mind, the Big Bang Unico Retrograde Chronograph wears the colours of France, the organising country of the 15th edition of the EURO. 100 watches, all in red, white and blue, will be issued. 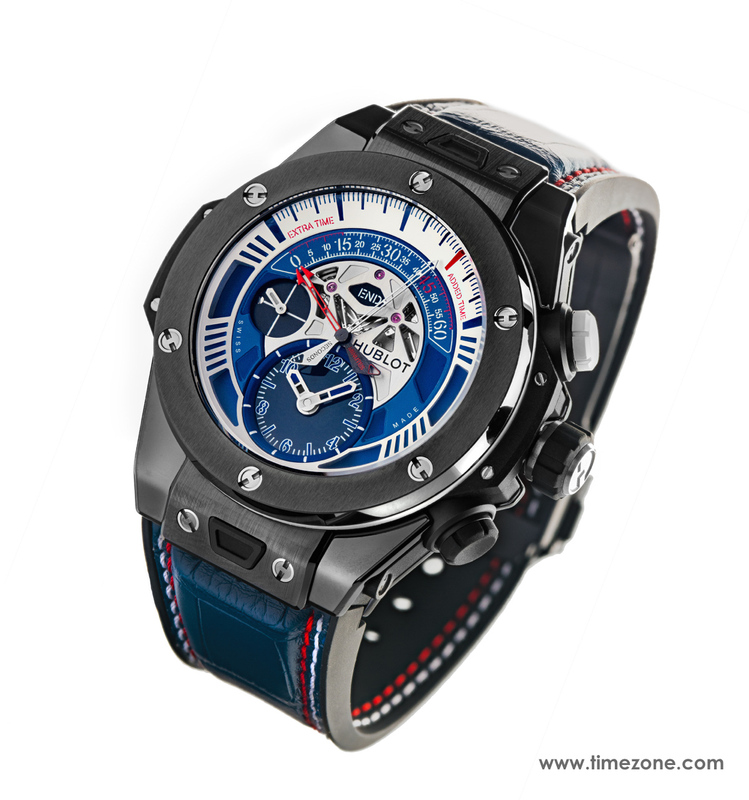 Its 45mm case in black ceramic is fitted with a "One click" interchangeable strap system in blue alligator sewn onto rubber and overstitched with white and red seams. The HUB1261 movement is visible through a sapphire case-back finished with the UEFA Euro 2016 or UEFA Champions League emblem. A bi-retrograde module with patented automatic winding is fitted to the UNICO manufacture calibre, enabling it to time a football match. Designed to time two halves of 45 minutes, and extra time, allowing a total of 60 minutes, its central chronograph display has the seconds and minutes hands moving on a circular arc between 10 o'clock and 2 o'clock. A push button at 2 o'clock activates the mechanism and moves the second hand to the 60-second mark before it swiftly jumps back to 0 and starts again, whereas the minute hand measures elapsed time as it moves around. The aperture in the centre indicates the ongoing period (1 -- first half/ 1⁄2 break / 2 -- second half, END end of the game). As for the local time, this is displayed by a counter at 6 o'clock.